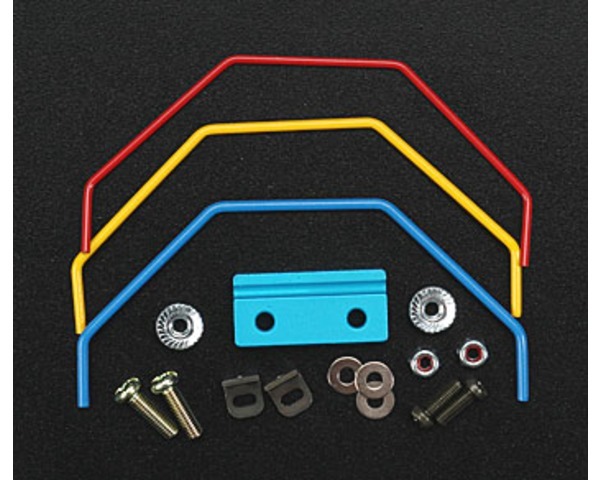 This is the optional Front Stabilizer Set for the Tamiya TT-01. and the #53674 Adjustable Upper Arms. TAMC9730, and the #53674 Adjustable Upper Arms, TAMC1162 installed.